The Hungry Bear in Fullerton is a cozy family restaurant serving steaks, burgers, fried chicken, and much more at a price that anyone can afford. "You have a lot of choices when you come here. What's the star of your show?" ""A recipe is a story that ends with a good meal." -Pat Conroy"
"Delicious, delightful, and all yours to indulge in." "Leave your worries -- and your hunger -- at the door." It's a nice place to eat. This place has always been one of my favorites, make sure to go on Monday for a great price on delicious steak. Beer also a great value. The food was delicious. Mendy our waitress was super helpful we had a ton of questions. The food is made from scratch, we had desert. The brownie delight, it was just chocolate heaven with a scoop of vanilla ice cream. Yes, I'd like to receive news from The Hungry Bear - Fullerton. 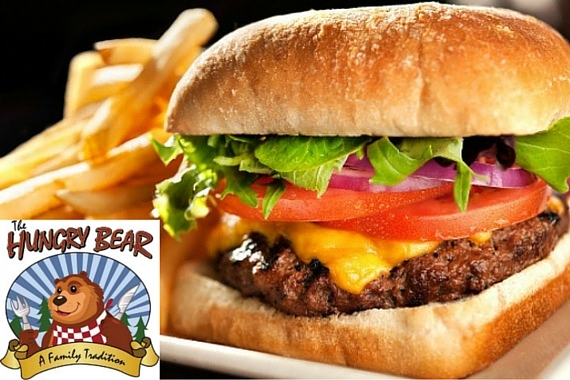 Sign up for the The Hungry Bear - Fullerton Newsletter!